The Traxxas TORC Series presented by AMSOIL continues this weekend with three rounds of door-to-door racing at the Big House in Crandon, Wis. The AMSOIL World Championship weekend is highlighted by the 2nd Annual AMSOIL Cup race on Sunday afternoon. The AMSOIL Cup features the sport’s top Pro 4×4 and Pro 2wd drivers racing head-to-head in a winner-take-all format. AMSOIL Super Team driver Scott Douglas won the inaugural event in 2010. 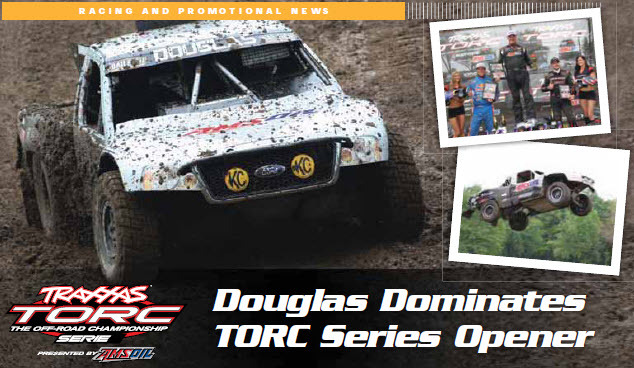 Catch all the action on TORC’s live stream, which can be found at https://www.amsoilracing.com/Series/TORC.aspx. Fans can also catch a preview video of this year’s AMSOIL Cup at https://www.amsoilracing.com/.